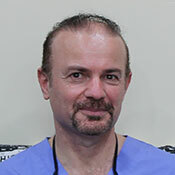 Dr. Waleed Stephan has over 24 years of experience in the practice of general dentistry. He graduated from dental school in 1987 in the top 10% of his class with honors. He has practiced dentistry since then, focusing on cosmetics and orthodontic treatments. Dr. Stephan has resided in California since 1993. He is a member of the American Dental Association, California Dental Association and San Diego Dental Society. Dr. Stephan has been married for 15 years to his lovely wife Athra, and is a Deacon at his local Catholic Church in El Cajon. When he is not at work, Dr. Stephan enjoys playing soccer, swimming and playing ping pong with his 3 boys. Dr. Stephan’s hobbies include oil painting, going to museums and reading, just to name a few. 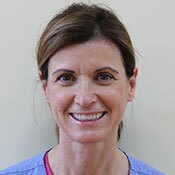 Heather Kiss is a full time hygienist with 22 years experience. She did her undergraduate work at UC Santa Barbara and received her dental hygiene degree from Cerritos College and UCLA. She also led the Miles for Smiles program serving underprivileged children in the Los Angeles. 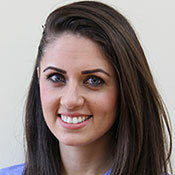 Heather Worms is a part time hygienist with 14 years experience. 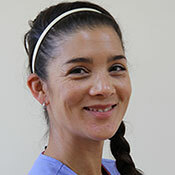 She received her bachelor’s degree from UC San Diego and her dental hygiene degree from USC School of Dentistry. She also works for the San Diego Lifeguard Service as a seasonal lifeguard and helps run the Junior Lifeguard Program. Fibronia (Fibi) Mekha runs our front office and assists Dr. Stephan as needed. She graduated from UC San Diego in 2013 with a degree in General Biology and Psychology. Fibi plans to become a dentist and is currently applying to dental schools around the nation. 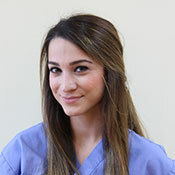 Amanda Shorez is a certified Dental Assistant has been working in the dental field for over a year. She plans to go to hygiene school and is currently awaiting her acceptance status to schools here in San Diego.